Little Rock Storage, Warehousing, North Little Rock Storage, Medical Storage — Brandon Moving & Storage onclick="kenshoo_conv('request_quote','value','orderId','promocode','USD')"
Whether you’re packing up home furnishings, office files or inventory, Brandon Moving & Storage has secure options to meet your needs. We offer easy access to your items while protecting them from dirt, dust and humidity. Call today for details on short- and long-term storage solutions. 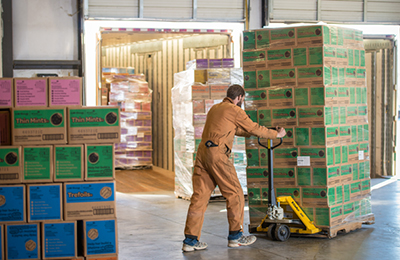 We're proud to be the warehousing partner for all of Central Arkansas' Girl Scouts cookies. That's right, your annual batch of boxed treats likely came through our facility for storage, warehousing and shipping around the region. And nothing makes us prouder than supporting our state's next generation of entrepreneurs.